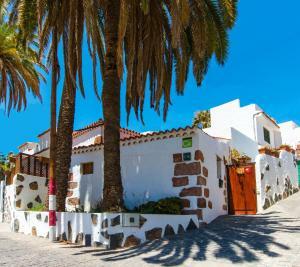 Get to know the Sorrueda Viewpoint in Santa Lucía, Gran Canaria. 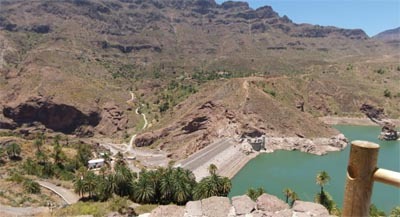 The La Sorrueda Viewpoint is located on the right margin of the Presa de la Sorrueda, over the Tirajana Ravine, in La Sorrueda, Santa Lucía de Tirajana, Gran Canaria. 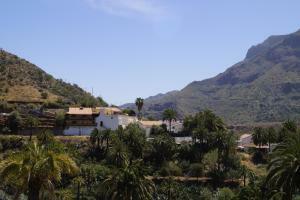 From the La Sorrueda Viewpointyou might see one of the most surprising views over the island. On the picture above you might see this viewpoint, this was used as a presentation cover for Gran Canaria for many years. From this viewpoint you’ll enjoy a monumental view over the palms and over the whole island. Here you might take a deep breath of the pure authentic canary air and enjoy this astonishing insolit landscape. Barranco de Tirajana, La Sorrueda, Santa Lucía de Tirajana, Gran Canaria.